Life is hectic, chaotic even. People live fast-paced, stressful lives balancing work, family, traffic, deadlines and commitments. You often just need a place to stop. And Breathe. An outdoor space provides the opportunity to listen to the birds chirping; feel dappled sunlight or a soft breeze on your face; and a place to experience that sense of peace that only nature can bring. A landscape or garden is any outdoor space that can provide this solace. It can be the backyard at your office, the neighbourhood park, the hospital courtyard, or your garden at home. 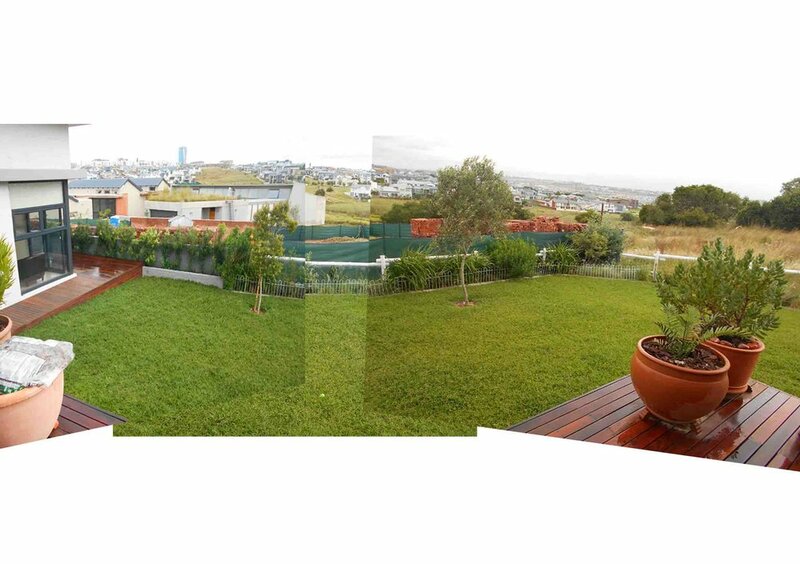 Humans crave a connection with nature and a well-designed garden can bring a feeling of balance and calm to the soul. I attended a seminar at a venue called The Herb Farm at Doonholm nursery a few weeks ago and was delighted to discover this piece of gardening paradise! 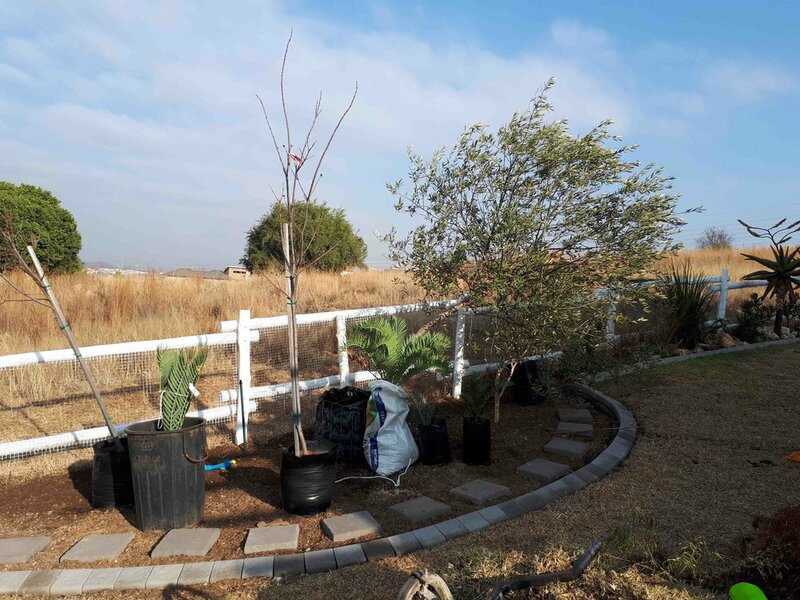 The gardens consist of a South African indigenous medicinal herb garden, a reflection pond, a spiral labyrinth herb garden, a scented rose garden and an educational garden. 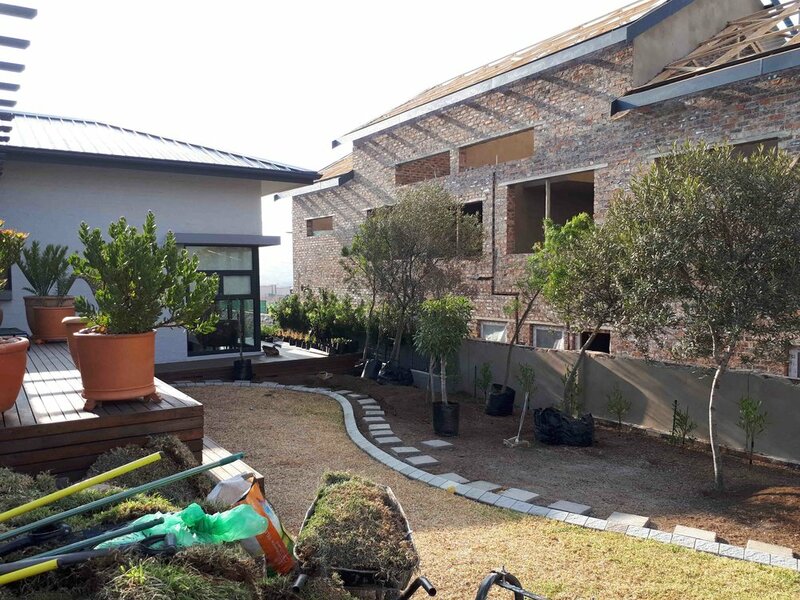 All the plants in this garden (trees, shrubs, groundcovers, climbers, annuals, succulents) are herb plants and this garden has been created to showcase the incredible range of herbal plants at our disposal. The gardens began in 2006 and evolved over the years (the owner described it as a “lappieskombers” or “patchwork quilt”) so that each year a new section was added. It is estimated that it now contains over 450 types of herb plants. There are numerous signboards throughout the garden indicating plant names and their uses. In the Educational Garden you will find: Herbs for Pets, Scented Herbs, Healing Herbs, Insect Repellent Herbs (On a side note I have heard that certain herbs deter pigeons, I really need to find out which ones!) Companion Herbs for Veggie Gardening, Flavour Herbs for Cooking and Herbs for Teas. Herbal plants have numerous beneficial properties and it is widely accepted that our knowledge of the potential that plants hold is under utilised. Look at https://healthyliving-herbs.co.za/medicinal-herbs/ to see specific herbs and their health benefits. The Scented Rose Garden: Planted entirely with scented roses ranging from strong to subtle scents and light to dark coloured blooms. Rose petals are edible, used to flavour rose water for food and cosmetics, and used to make confetti and potpourri. Every garden needs a selection of Aloes, not only for their sculptural quality but more importantly for the splash of colour they bring in Winter when everything else looks dull and drab. Aloes are indigenous and waterwise and they really need very little attention (unless they get diseases... see far below). 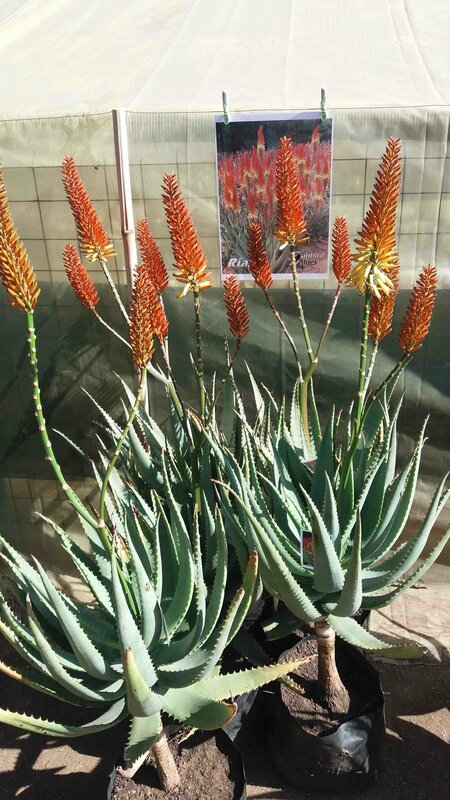 There is a wide variety of species available in different sizes as well as different growth forms - from larger clump forming Aloe arborescens and free-standing Aloe marlothii to smaller Aloe cryptopoda, Aloe striata (no thorns) and even the Tree Aloe Barberae. These species get used in landscaping repeatedly so it is always exciting to find new species in the forms of Hybrids to use; these add interest and variety to a design. 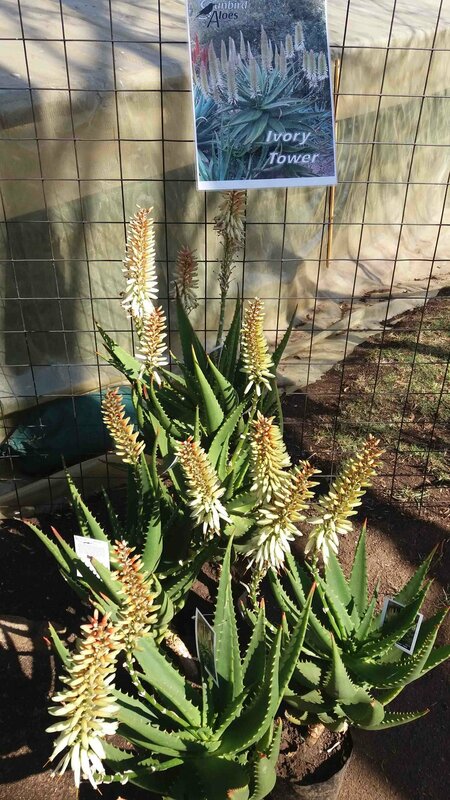 Leo Thamm from Sunbird Aloe Nursery specialises in growing hybrid Aloes that he has bred to produce the best flowering plants, something he has been doing for over forty years. 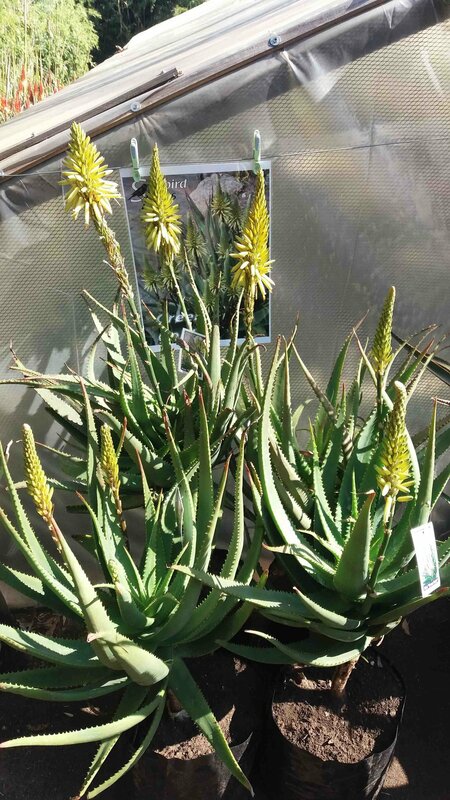 "Wherever different Aloe species flower together in the wild one is likely to find natural hybrids. Hybridisation happens when a bird or an insect accidentally deposits pollen from one species on the flower(s) of another. The seeds that form as a result of this so-called cross-pollination hold the genetic key to plants that are different from both the parent plants. The resulting seedling(s) grow up to be hybrids showing a combination of characteristics of the parent plants. Normally the pollen ‘donor’ is called the father, and the seed bearing parent the mother plant. With great dismay I admit that the existing Aloes in my garden are diseased and although I have been in denial about it for a while, hoping that nature would take it's course and that the plants would fight their own battles, I have realised that some intervention from my part is required. 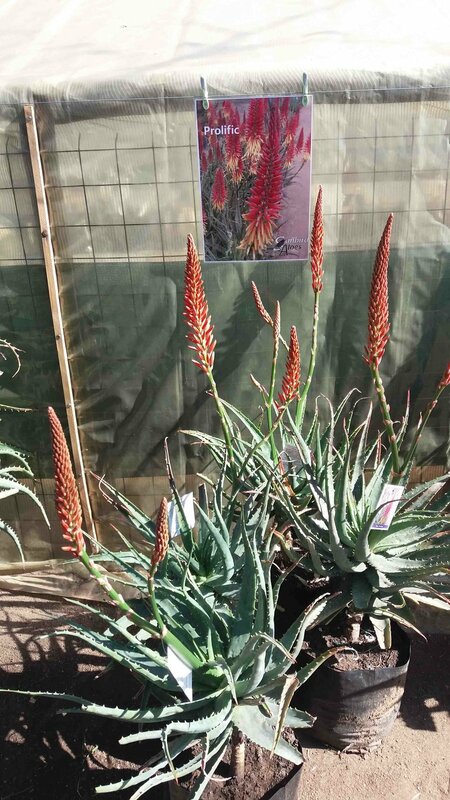 I was grateful for the information about Aloe Care posted on the Sunbird Aloe Website and specifically the guidance given when your Aloes have Gall Mite (Aloe Cancer) or Aphids and Mealie Bugs. Since my Aloes have both (see images below) I am implementing the advice given (using Blue Death Powder and Systemic Insecticide) and hope that this will help to save my existing plants as well as prevent the new Aloes I bought at the Open Day from also getting the diseases! 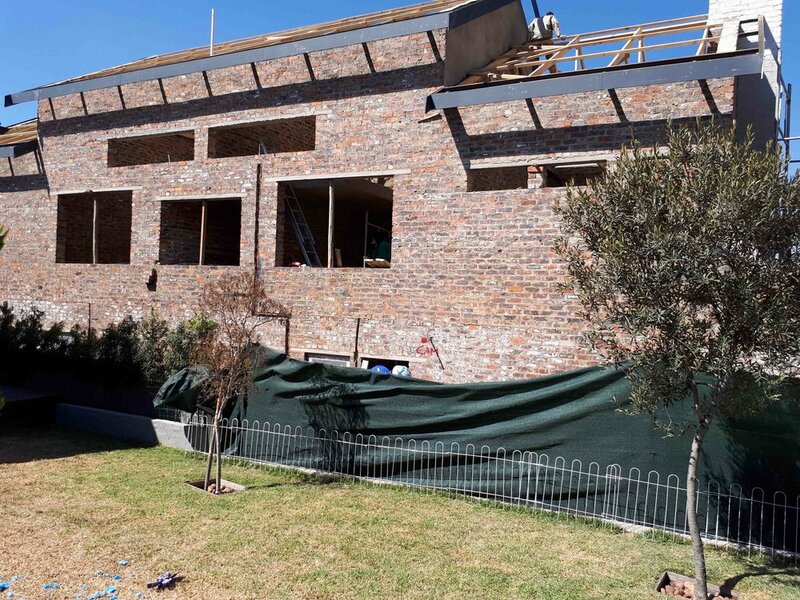 I have been fortunate to listen to two presentations by Elsa Pooley: one hosted at Random Harvest Indigneous Nursery in 2015 and the other at the ILASA Conference held in September 2015 (See Previous Blog written on ILASA Conference). I also recently attended a course at The Cavern in the Drakensberg where I was able to view some examples of beautiful indigenous plants and see examples of these plants growing in the wild. Elsa Pooley is an advocate for using indigenous plants in public and civic spaces and strongly believes that any form of rehabilitation should exclusively make use of locally indigenous species. 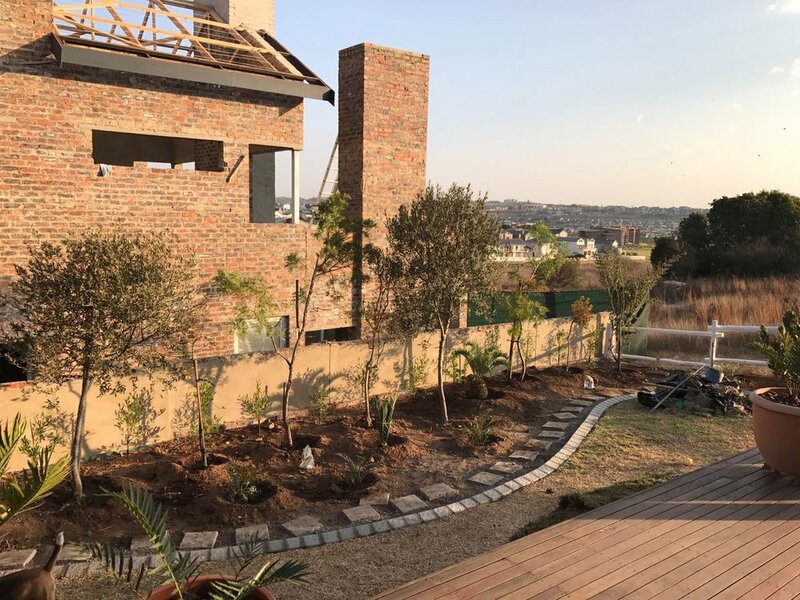 She has spent many years studying the indigenous flora of South Africa, particularly in Kwa-Zulu Natal and knows the great potential that South African plants have, but are unfortunately not commercially grown and therefore not well known by landscapers and home owners. Fortunately for us Random Harvest is one of only a handful of nurseries in the country growing indigenous plants, many of which have until now been unavailable. An indigenous garden can have colour all year round and although this may not always be bright flowers it can come from foliage and the variety of colour and texture from different plants. 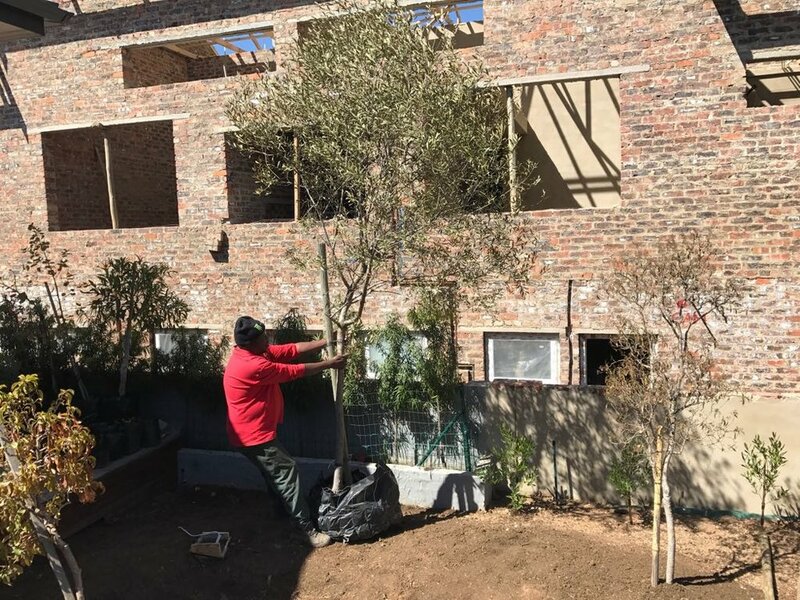 Elsa mentions how South African plants are used throughout the world but we do not necessarily appreciate their true value as we prefer to make use of exotic plants in our designs. 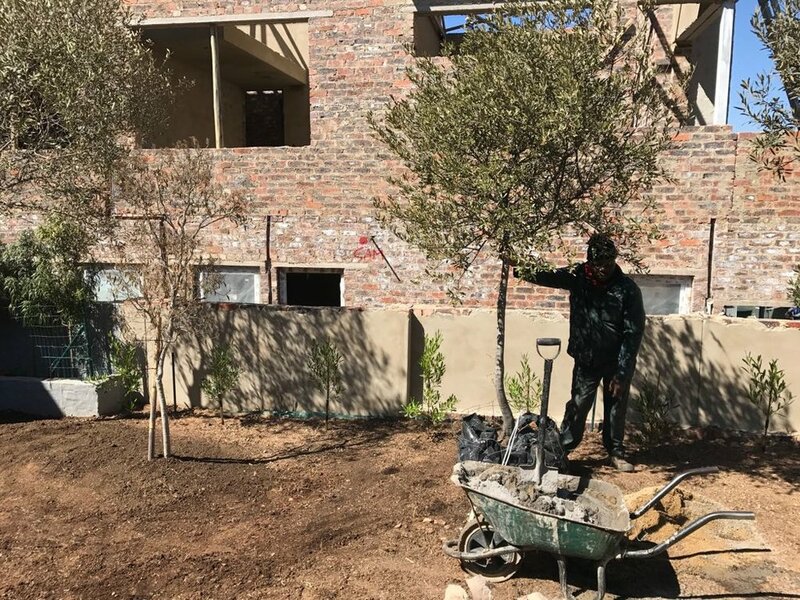 The temptation for landscapers is to use the same old plants they always use because they are easy and work well but there are so many other plants that we could be using. I hope that you will also be inspired by these beautiful plants and experiment with indigenous plants in your garden! The Cavern hosts a variety of activities on its events calendar throughout the year including: bird weekends, yoga retreats, photography workshops and mountain bike races amoungst others. I joined the course called ‘Sketching and journaling – creating a nature journal’ hosted by two well-known figures in the botanical field: Elsa Pooley and Gillian Condy. The course was run from Wednesday 1 March – Sunday 5 March 2017 and we were blessed with wonderful weather over this time. A few late afternoon showers were well timed as this was when we were indoors drawing in the studio. If you have ever been to The Cavern you will already be well aware of its reputation to fill your belly with the most wonderful and delicious meals as well as provide a relaxing atmosphere that makes you feel as if you have entered into a beautiful warm bubble where all you can think is “Life is Good”. Always fun choosing what to have for dinner from the menu! Our programme roughly involved breakfast at 8am followed by a morning hike into the beautiful surroundings where we would stop to draw whatever caught our eye (a dam, a tree, the bridge, moss, flowers, a bubbling stream) and then tea was brought to us at our location in the bush. We would head back to camp for lunch and then in the afternoon spend time in the studio drawing the plants we brought back with us from the morning walk. Some people drew flowers, others fungi, leaves, insects or seeds. While Elsa is the person to go to for any plant question Gill Condy is a trained botanical artist and gives tips and direction on how to improve your drawing skills. Both ladies are talented at water colour painting and it was a treat to learn some tips on how to use this medium for the first time. Our nature journals were all very different and we had the freedom to make them into whatever we liked. It was interesting to see how each person took a slightly different angle and approach to the same subject and how everyone was drawn to different plant types. We arrived on Wednesday afternoon not quite sure what to expect, and left on Sunday feeling inspired and rejuvenated. The fresh air combined with soul-inspiring walks through unspoilt nature, not to mention being fed and pampered (some even went for massages at the onsite Spa) made for a most amazing and memorable trip. Thanks to everyone for making it so special! Such a treat to share this time with my dearest Mom!